"There is a health risk, but the goal is still to sell mobile phones to as many people as possible." Neither the authorities nor the operators are yet able to assure the public of the safety of electromagnetic waves. But it's out of the question to destabilize such a profitable business. Now the phone companies themselves are starting to worry about the effects that electromagnetic waves could have on human health.... And for one simple reason: it would obviously be very, very bad for their business. British Telecom, the equivalent of France Telecom (sorry, Orange!) 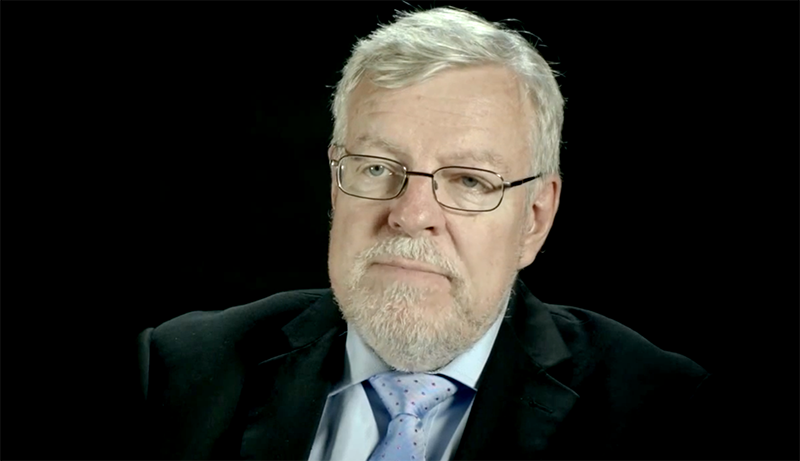 across the Channel, preferred to warn its shareholders in its 2017 annual report, as stated in an article in the Mirror noted by the association Robin des Toits: "We cannot provide absolute assurance that future research will not establish links between radio frequency emissions and health risks". 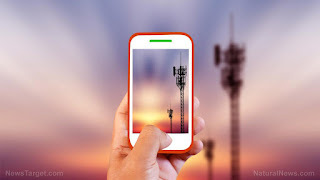 Another telephone giant, Nokia, explains: "Some research results have indicated that electromagnetic waves emitted by mobile phones and base stations can have adverse health effects, such as increased risk of cancer. This is obviously a problem, because "concerns about adverse health effects could make it difficult to acquire and retain customers." So things are clear: there is a health risk, but the goal is still to sell mobile phones to as many people as possible. By promoting mobility and making wellness a priority, companies may in fact be worsening the health of their workers by giving them—and encouraging them to use—mobile devices. This is not an example of bad intentions but the unintentional result of forces we do not see and illnesses we do not know to connect to the wireless electronics that surround us. I refer, specifically, to electromagnetic fields (EMFs), which bombard our bodies and pierce our brains without the slightest incision. Hence the paradox concerning corporate wellness: The very devices that free workers from sitting at their desks—and mobilize them by allowing them to talk business as they walk and work outside—are the same devices that may be hazardous to their health. 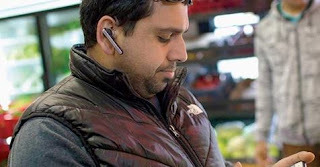 More ironic is the image of the worker who uses a smartphone to track his health, while he unknowingly makes himself sick by fiddling with his phone or putting it to his ear. Writing in advance of the September 15 issue of Neural Computation , Beatrice Golomb, MD, PhD, professor of medicine at University of California San Diego School of Medicine, says publicly reported symptoms and experiences of a “mystery illness” afflicting American and Canadian diplomats in Cuba and China strongly match known effects of pulsed radiofrequency/microwave electromagnetic (RF/MW) radiation. Her conclusions, she said, may aid in the treatment of the diplomats (and affected family members) and assist U.S. government agencies seeking to determine the precise cause. More broadly, Golomb said her research draws attention to a larger population of people who are affected by similar health problems. “I looked at what’s known about pulsed RF/MW in relation to diplomats’ experiences,” said Golomb. “Everything fits. The specifics of the varied sounds that the diplomats reported hearing during the apparent inciting episodes, such as chirping, ringing and buzzing, cohere in detail with known properties of so-called ‘microwave hearing,’ also known as the Frey effect. "Clear Evidence of Cell Phone RF Radiation Cancer Risk"
In a new paper, “Clear evidence of cell-phone RF radiation cancer risk” published in the journal IEEE Microwave Magazine, Dr. James C. Lin states that the results of the National Toxicology Program (NTP) cell phone radiation study suggest that current radio frequency (RF) exposure guidelines are inadequate to protect human health (1). Furthermore, the paper recommends that the International Agency for Research on Cancer (IARC) re-assess the research and consider upgrading the classification of RF radiation from "possibly carcinogenic to humans" (Group 2B) to probably carcinogenic (i.e., Group 2A). Although Dr. Lin raises some criticisms of the NTP study in this and an earlier paper (1, 2), he recognizes the importance of this research to the field and the implications of the study findings for public health (2). In recent articles and presentations, Centers for Disease Control and Prevention (CDC) researchers have showed that new childhood cancers are most likely to occur in the very youngest age group (birth to age 4) as well as in 15-19-year-olds and are more likely to arise in boys than girls. The CDC research also indicates that the surge in childhood cancers is driven by increased rates of certain cancers: brain, kidney, liver and thyroid. 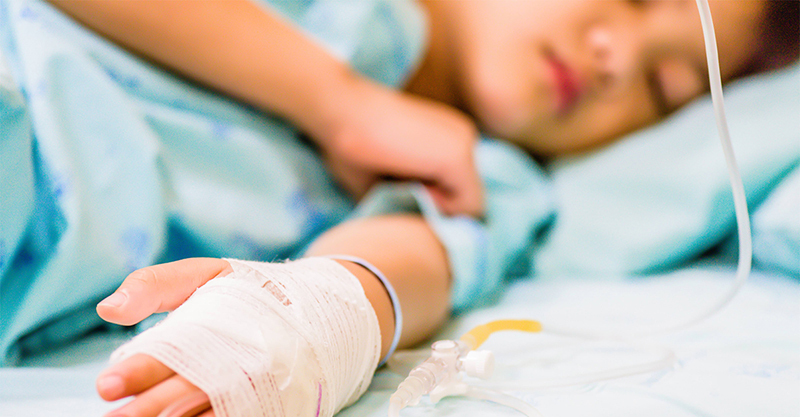 Pediatric brain tumor rates are increasing across Europe as well. 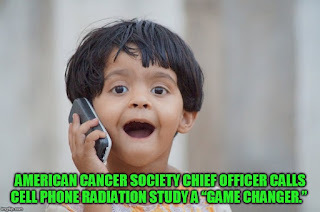 Conventional entities such as the American Cancer Society offer no explanation for the increased childhood cancer rates, feebly asserting that “there are few known risk factors for childhood cancer” other than exposure to ionizing radiation. However, this disingenuous statement completely ignores the increasingly toxic environment in which we unreasonably expect children to thrive—and the many known and suspected carcinogens in that environment that may be ratcheting up children’s cancer risks, perhaps synergistically. 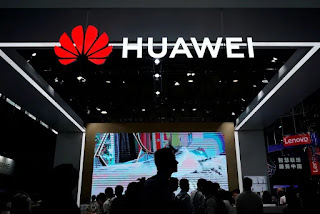 The Chinese telecom giant Huawei has been barred from supplying equipment to Australia’s next-generation wireless network, the company said, a move that aligns the Australian government with the United States' sweeping ban against the firm. 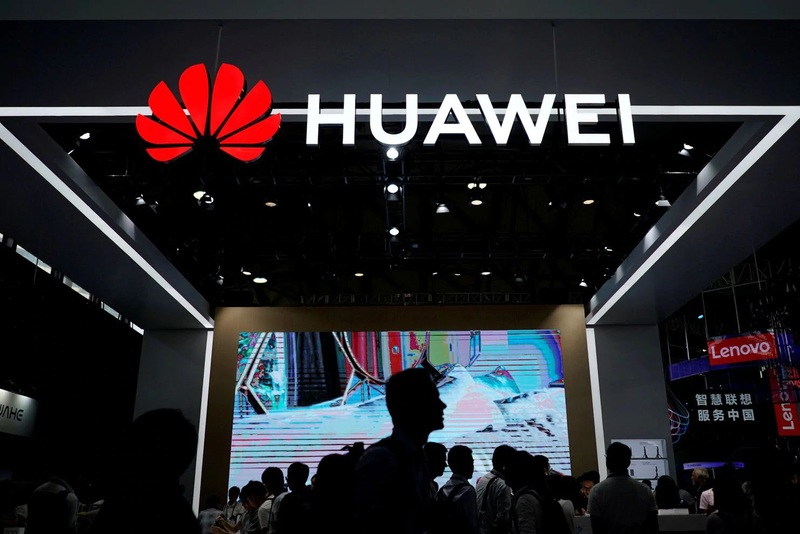 Huawei said Wednesday night on Twitter that Australia had banned the company from providing 5G technology. “This is an extremely disappointing result for consumers,” the company said, adding that it had safely delivered wireless tech in Australia for more than 14 years. According to the same tweet, ZTE, another Chinese technology company, was also banned. Huawei and ZTE did not immediately respond to requests for comment. Retail Stores: Wi-Fi - a Technology Risk? Wi-Fi - a Technology Risk? Digitalization in retail is making progress - and with it electrosmog and radiation exposure in stores. How can retailers profit from the benefits of digitization while protecting employees and customers? Digital technologies have become indispensable at points of sale: employees are equipped with tablets; RFID facilitates logistics and retail security; Bluetooth-equipped luminaire chips enable controllable lighting effects; smart metering enables the remote reading of energy consumption. From music streaming to NFC payment systems - the list goes on. The other side of the story: physicists are talking about a two-fold increase in electrosmog exposure over the past 15 years. This raises the concern that the frequencies of modern digitalization, which are very similar to the biological, are throwing the cellular and especially neurological processes of man out of rhythm. In 2007, the European Environment Agency compared the risk of Wi-Fi radiation with that of asbestos. In 2013, it called Wi-Fi a technology risk. minute by minute and send that date to your supplier. 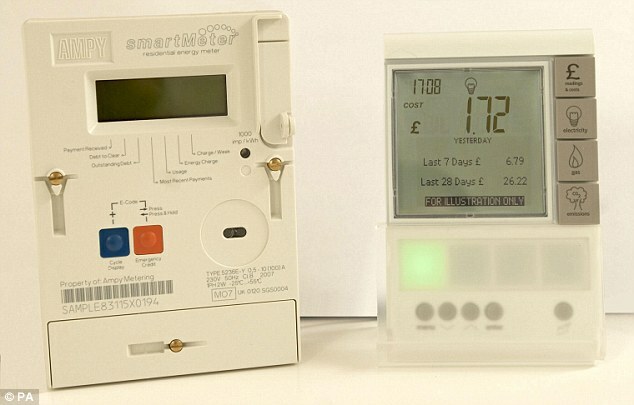 Today, Money Mail launches a campaign to stop energy firms bullying customers into having a smart meter fitted in their homes. We have been inundated with letters, emails and calls from readers who have felt pressured and intimidated into switching their analogue gas and electricity meters for digital versions. The new devices — which show how much power and gas you're using minute by minute and send that data to your supplier — are entirely optional and many people have legitimate reasons for rejecting them. FRANKFURT (Reuters) - The number of U.S. lawsuits brought against Bayer’s (BAYGn.DE) newly acquired Monsanto has jumped to about 8,000, as the German drugmaker braces for years of legal wrangling over alleged cancer risks of glyphosate-based weedkillers. 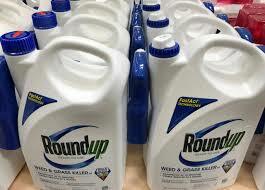 Bayer had previously disclosed 5,200 such lawsuits against Monsanto, which it acquired in a $63 billion deal completed in June. “The number of plaintiffs in both state and federal litigation is approximately 8,000 as of end-July. These numbers may rise or fall over time but our view is that the number is not indicative of the merits of the plaintiffs’ cases,” Bayer Chief Executive Werner Baumann told analysts in a conference call on Thursday. 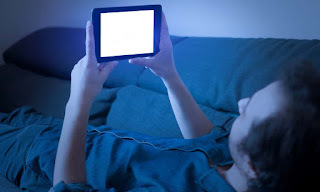 Cell phones and tablets could result in lazier brains. The brain is a large mass of nerve tissue. 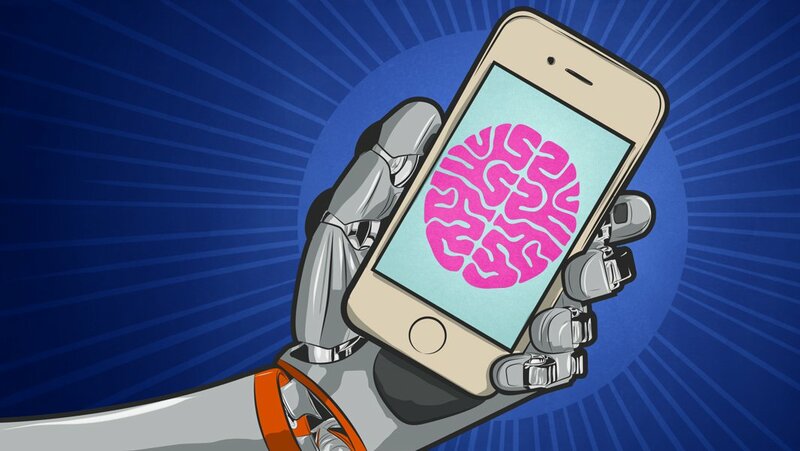 Why is this important to know, and what effects do our handheld devices have on our brains? Given how popular smartphones are today, this is a question that healthcare practitioners, parents, students, and other cellphone users should consider. With that in mind, if you were given an opportunity to go a full day without your cell phone, do you think it could be done easily? While some people might say “yes,” research shows that breaking this technology habit — even for a short period of time — can be extremely difficult. That said, if you walk into any building or cafe shop, you will find someone using their smartphone for a number of different reasons: making phone calls, checking social media, reading up on the latest news, or checking their banking information. Our phones have become a huge part of life, but at what cost? In other words, does this reliance on our handheld devices have an impact on our body? The answer is yes. It does. 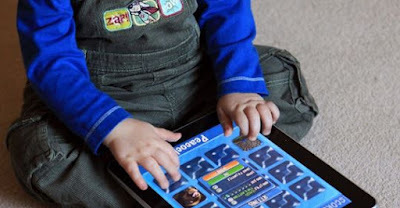 One in four under the age of two and more than a third of three to five year olds have their own tablet, according to research. close to their bodies, particularly the sensitive parts. Toddlers’ use of apps, websites and the internet has exploded to such an extent that the average pre-school child, including under twos, spends more than an hour a day online, rising to two hours or more a day for a third of five to six-year-olds, according to the report compiled for the department of culture. Tablets are so widely used by toddlers that baby equipment manufacturers have launched special iPad holders to fit onto baby high chairs, car seats and strollers with “a water resistant surface that guards [the iPad] against spills, dribbles and drools.” They are available on Amazon for under £10. "Let me close, as follows. There have been certain points in our history where people have stood up to strong destructive forces against what often appeared to be insurmountable odds. Those people are THE most honored people in our history. The people who failed to do so are among the most despised people in our history. I am not at all sure we will have historians to record us 100 years from now or even 30 years from now, given the direction in which we are heading. But if we do, rest assured that these are the standards by which we will all be judged." Please access my 90 page, seven chapter document on EMF effects, how they are produced in the body and the corruption of the international science: "5G: Great risk for EU, U.S. and International Health! 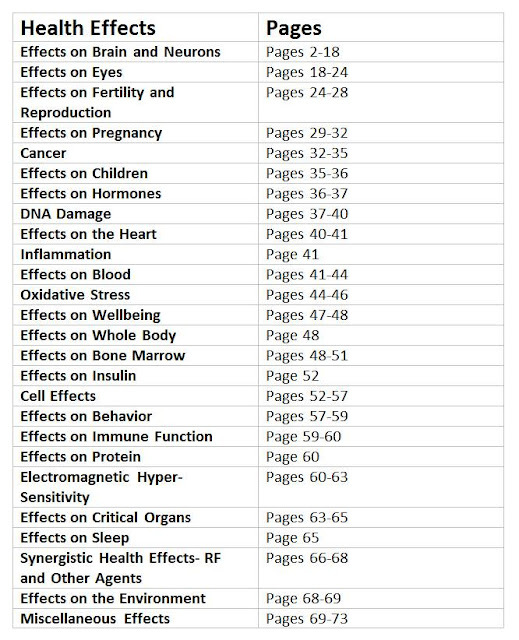 Compelling Evidence for Eight Distinct Types of Great Harm Caused by Electromagnetic Field (EMF) Exposures and the Mechanism that Causes Them"
Eight pathophysiological effects caused by non-thermal microwave frequency EMF exposures. Brain cancer is one of the major risks the popular device could cause. penetrating into the brain and skull. Doctors in the UAE are warning people against the use of bluetooth earbuds, which they claim not only causes a risk of sleep distraction and deafness, but also brain cancer. The wireless/bluetooth headphones, which sell for as high as Dh700, are a serious health hazard and should not be used for longer than a "minute or two" a day, if necessary, said Dr Nasir Nawasreh, specialist - family medicine with subspecialty in acute care at Bareen International Hospital. "I do not recommend people to use blue tooth headphones - minimal if they have to. The device has to be removed immediately after usage." Dr Nawasreh said researches indicate that brain cancer is one of the major risks the popular device could cause. Caesar’s Palace, Las Vegas: once home to the boozing, carousing Rat Pack; now frequented by the rather stranger Hack Pack. Last week the hotel hosted DefCon, the world’s top hacking convention, where in one room techies who failed to crack various challenges had their laptops sledge-hammered by a man dressed as a hot-dog. Elsewhere, mighty brains were applied to exercises with wider implications. A group of delegates took just minutes to hack the voting machines used in 18 US states. One whizz demonstrated how to infiltrate police body cameras, download footage, edit a crime away and upload it again seamlessly. Meanwhile, a group of Chinese hackers had worked out how to hijack Amazon’s “smart speaker”, Echo, turning it into a surveillance device to eavesdrop on users. Wherever there is connected technology, there are clever people trying — and often succeeding — to break in and manipulate it. Outside places like DefCon, many do so with intent to steal, scare, sabotage or kill. 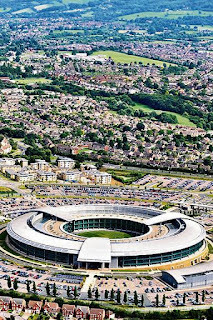 Yet while malign hackers become ever more ingenious, we become ever more complacent about opening up our lives, our homes, our streets and cities to technology that can be turned against us. Carelessly, and with very little debate, we are allowing connected technology to penetrate deeper into our physical environment — and we may come to regret it. 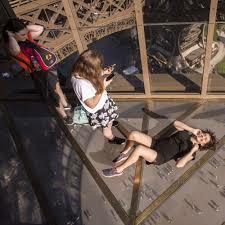 The French Parliament voted last month to ban cell phones in nursery, elementary and middle schools. More than 5,000 miles away, San Francisco educators are urging the school district to make sure that students and teachers know about the state of California’s guidelines for safer use of cell phones. 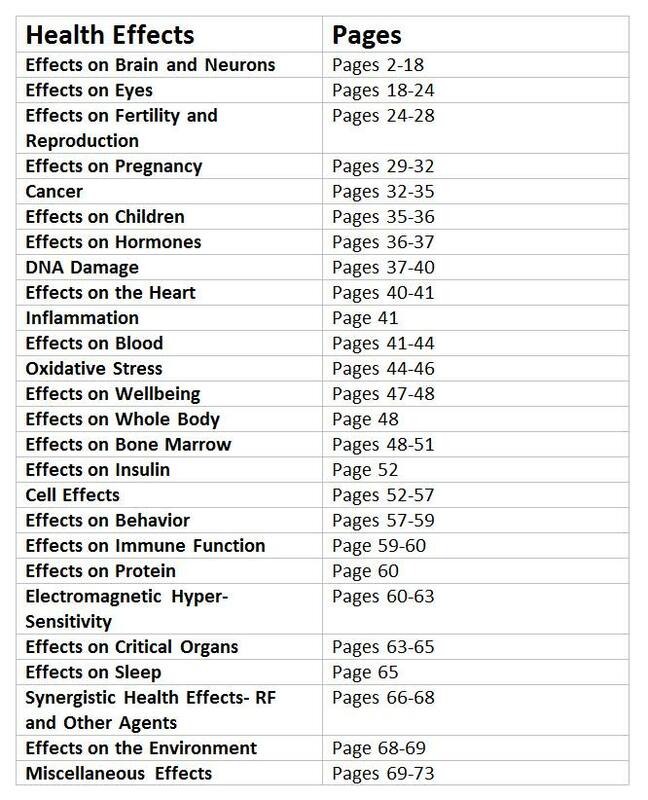 Attached is a list of over 100 scientific studies on health effects of wi-fi put together by Kevin Mottus (California Brain Tumor Association). 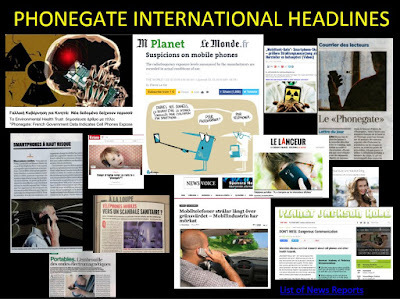 Please have a look at and share Phonegate Alert's Press Book, now updated with several hundred articles/interviews/radio and TV broadcasts over the last 18 months in a number of languages. The Press Book was posted last week in the Weekly Buzz on EMF Radiation issued by the Environmental Illness Network Minnesota to which we contribute articles. There are also nearly 100 articles on this blog in English and on "Mieux Prévenir" in French on the Phonegate issue. Thank you for the piece on wireless radiation and health (“Mobiles, cancer and inconvenient truths”, the New Review). This has been of great concern to me for some years. I seek to operate my laptop as much as possible with a wired internet connection and keep my mobile in aeroplane mode for much of the time to minimise exposure, but of course I am surrounded by many sources of radiation in daily life. It seems that most of the population are unaware or oblivious to the problem because the radiation is not seen, heard or readily evident. Thus, if I raise the issue with others, my concerns are generally dismissed. 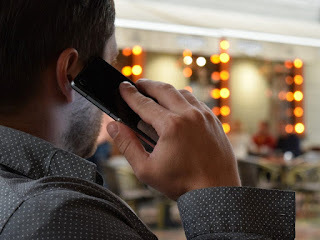 Wireless radiation has many potential consequences for health – brain tumours, for instance, are increasingly prevalent in a population saturated with waves from mobile and cordless phones, wifi, bluetooth, “smart” meters etc. This is very sad and not the first time this has happened. Society must wake up to the dangers of cell phone addiction and to exposure to microwave radiation emitted by mobile devices. A 13-year-old schoolgirl who became 'addicted to her iPhone' suffered self image and friendship issues before killing herself, an inquest heard. Tragic Ellie Phillips researched suicide methods online and wrote about her own funeral. The inquest was told that the star hockey player had issues with her school and friendship groups in her year. Children are being endangered by their parents’ obssession with smartphones, lifeguards in Germany have warned. 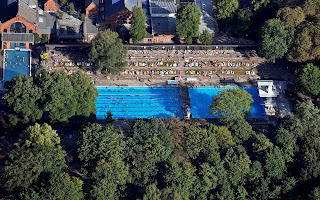 The German Lifeguard Association (DLRG) has linked a series of recent drownings to parents who were too busy with their mobile phones to keep proper watch over the children. “Not enough parents and grandparents follow the advice: when your children and grandchildren are in the water, put your smartphone away,” Achim Wiese, a spokesman for the DLRG, said. 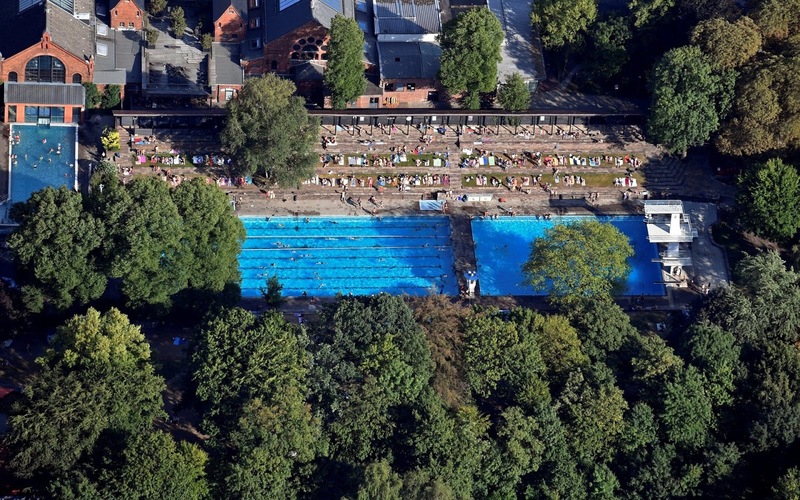 This summer has seen an alarming spike in drownings in Germany, as adults and children take to the country’s lakes, rivers and beaches to escape the heatwave. More than 300 people have drowned so far this year, including 20 children under the age of 15 and 40 young people between the ages of 16 and 25.
mobile radio antennas will increase sharply. boxes with low transmission power. 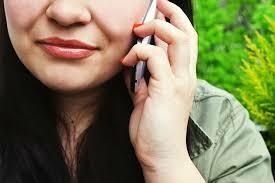 The mobile industry and doctors are arguing whether cell phone radiation is harmful to health. In the run-up to the 5G expansion, scientists are indicating more research is needed. AUSTRIA. The government has set itself the goal of making the next generation of mobile telephony, 5G, available throughout the country by 2025. This is what the 5G Strategy published by the Ministry of Infrastructure in April states. "The nationwide 5G supply is crucial for future economic development," it says in the paper. The expansion of the 5G infrastructure also means more antennas. 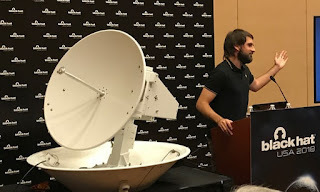 "The total number of antennas can only be speculated," says Gregor Gradnig, spokesman for the Regulatory Authority for Broadcasting and Telecommunications GmbH (RTR), Regional Media Austria (RMA). The estimate is tens of thousands of new antennas. The locations of the current mobile radio and broadcasting stations in Austria are listed in the transmission register. These findings of increased nervous system rates were presented at the 2018 American Society of Pediatric Hematology Oncology Conference in May, 2018 and also at the 67th Annual Epidemic Intelligence Service (EIS) Conference April 16–19, 2018. "Rates of brain, renal, hepatic, and thyroid cancers increased…" US CDC 2018). 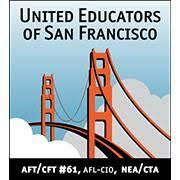 The United Educators of San Francisco (UESF) has approved going forward with a resolution for safer technology next semester at a joint health committee with the San Francisco Unified School District. The resolution became official as of May 23rd, 2018 and the Resolution and press release be found on UESF website. (SAN FRANCISCO) – San Francisco educators closed the school year with the passage of a safer technology resolution that aims to provide simple steps to reduce exposure to radio frequency (RF) wireless energy for children, adolescents and educators in San Francisco schools. While the science pertaining to technology safety is still evolving, a 2018 RF study by the US National Toxicology Program found exposed rodents developed malignant gliomas, a type of brain cancer, as well as heart tumors and DNA damage. This raises concern regarding long-term exposure to wireless technology and high use of cell phones. We are ashamed with Switzerland for allowing children's use of cell phones in the classroom for "learning" purposes. Children receive "media education" but this sounds like it only goes as far as dealing with social media: fake news, photos, cyberbullying. Little is taught about safe ways to reduce exposure to the microwave radiation emitted by these devices which could potentially cause physiological harm. It is also used in the classroom. The fact that cell phones are banned at school, as in France, is impossible in Switzerland. 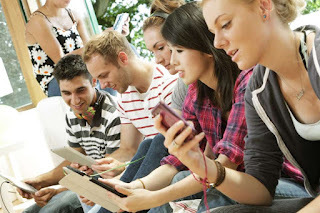 Here the smartphone serves as a learning tool. Smartphones interfere with the classroom, foster bullying, make people stupid and anti-social - these are the arguments of opponents of smartphones in the school. France has just passed a general ban on smartphones in its schools. We are ashamed of certain Swiss media that have not reported on the study by one of their own citizens on the damage cell phone radiation can do to teenagers' memory, although the results of this important study have been reported globally. We also cannot understand why Switzerland will still allow the use of cell phones in classrooms "for learning purposes" while studies have reported the negative effects of mobile device use on learning. Use of cell phones in schools will only add to the risk of addiction to these devices, since children also use these for many hours at home. 'Children don't have the maturity' for smartphones, a French mother says. 'Some adults don't either'. 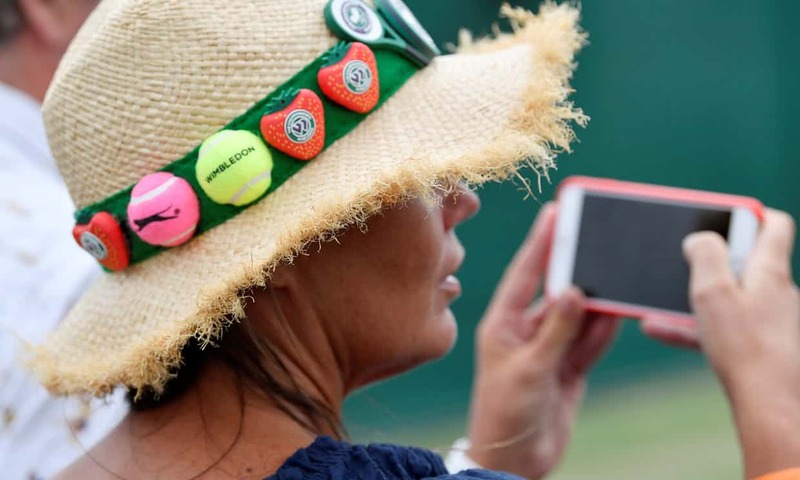 PARIS—Solal Paroux’s friends all have smartphones, and the 12-year-old Parisian has been needling his parents to get him one too. But his parents are resisting. And now they have the law on their side. 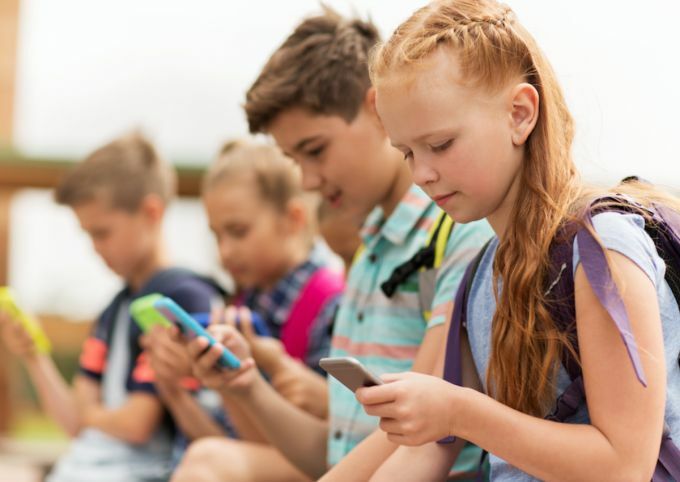 When school starts up in September, a new French law will ban students ranging from ages 3 to 15 from using smartphones anywhere on school grounds, with only narrow exceptions. The satellite communications that ships, planes and the military use to connect to the internet are vulnerable to hackers that, in the worst-case scenario, could carry out “cyber-physical attacks”, turning satellite antennas into weapons that operate, essentially, like microwave ovens. According to research presented at the Black Hat information security conference in Las Vegas, a number of popular satellite communication systems are vulnerable to the attacks, which could also leak information and hack connected devices. The attacks, which are merely a nuisance for the aviation sector, could pose a safety risk for military and maritime users, the research claims. 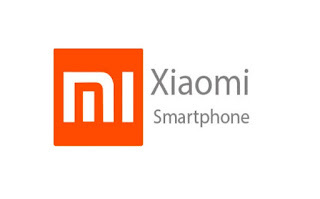 It is worrying that Huawei already has cooperation agreements in Switzerland with Swisscom, Sunrise and Schindler. The Swiss communications minister visited Huawei recently in China to see what benefits implementation of 5G would bring to her country. broadband technologies likely to come from China. 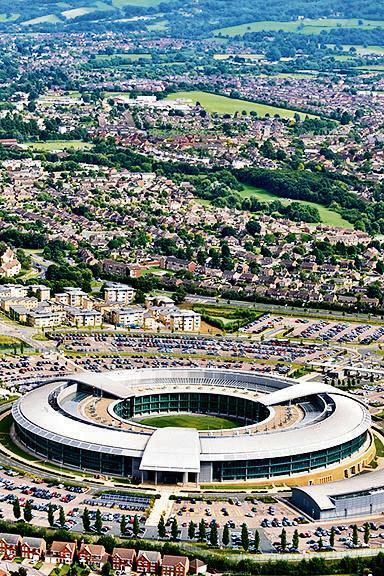 China’s dominance of the technology that will power the next generation of super-fast mobile broadband threatens to leave Britain vulnerable to Chinese espionage, Britain’s top spy has warned. 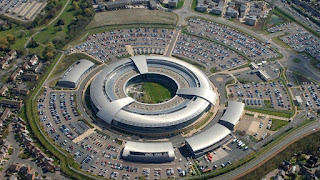 Jeremy Fleming, head of GCHQ [Government Communications HQ], said “fifth generation” mobile services (5G) — which are expected to be launched in Britain next year and could eventually underpin everything from driverless cars to energy-saving “smart cities” — are among a host of new technologies that risk making “us more vulnerable to terrorists, hostile states and serious criminals”. 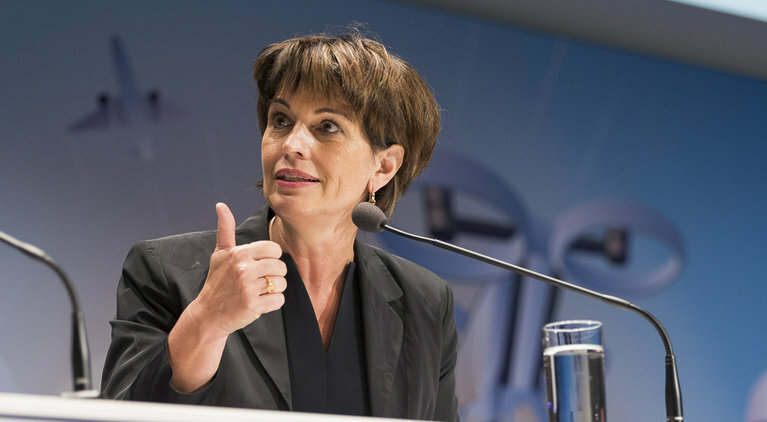 Switzerland: Doris Leuthard: "Our Economy Needs the Technologies Made Possible by 5G"
What Doris Leuthard, head of the Swiss Federal Department of Environment, Transport, Energy and Communications, says here is very disturbing. In order to implement 5G technology in Switzerland, she is talking of amending the Ordinance on non-ionizing radiation protection so that the limit values in Switzerland are the same as in the European Union [they are currently ten times stricter in Switzerland than in Europe], even if it means bypassing parliament. The Federal Councilor made a quick two-day visit to Shenzhen and Hong Kong. She looked at the latest innovations in the Middle Kingdom. The Federal Councilor Doris Leuthard arrived Thursday in China, staying two days. She paid a visit to the tech giants Tencent and Huawei, visited a smart neighborhood and discovered innovations related to the development of mobile phone networks based on 5G. She was even more convinced of the importance of rapidly deploying this technology on Swiss soil. We met her in Hong Kong. 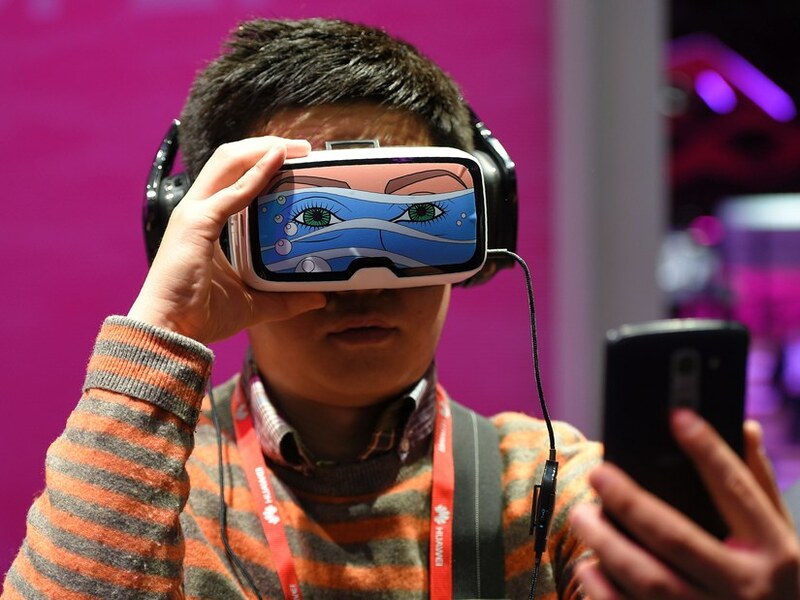 Le Temps: You visited several Chinese technology groups in Shenzhen. What was your purpose? Doris Leuthard: This fall, the Federal Council will vote on the country's new digital strategy. We need to know where we stand with regard to information and communication technology. I therefore chose to visit one of the most advanced countries in this respect, where these solutions have already been implemented and marketed. (Reuters) - A California jury on Friday found Monsanto liable in a lawsuit filed by a man who alleged the company’s glyphosate-based weed-killers, including Roundup, caused his cancer and ordered the company to pay $289 million in damages. for sale in Encinitas, California, U.S., June 26, 2017. Prof. Olle Johansson: "Wireless Radiation - the Biggest Full-Scale Biomedical Experiment Ever Done to Life on Earth"
DEBATE. “For whom the Doomsday Clock tolls”. On January 25, 2018, SVT News reported – in the Swedish public service television programme “Morgonstudion” – about the so-called “Doomsday Clock” in the United States, which indicates how close we are to a nuclear war with the ensuing end to humanity, as well as to most other animals, plants and bacteria. In addition, they spoke in the same broadcast about the ever faster spread of antibiotic resistance which will lead to two times more such cases in Sweden in 2030, and four times more such cases in 2050. Already today, an excess of 25,000 Europeans die prematurely in Europe, and SVT News pointed out that by 2050 the corresponding annual premature deaths worldwide will amount to approx. 10,000,000 people (other animal species not included). receptor cells in the eye sense light. "The need for this type of research is at an all-time high." 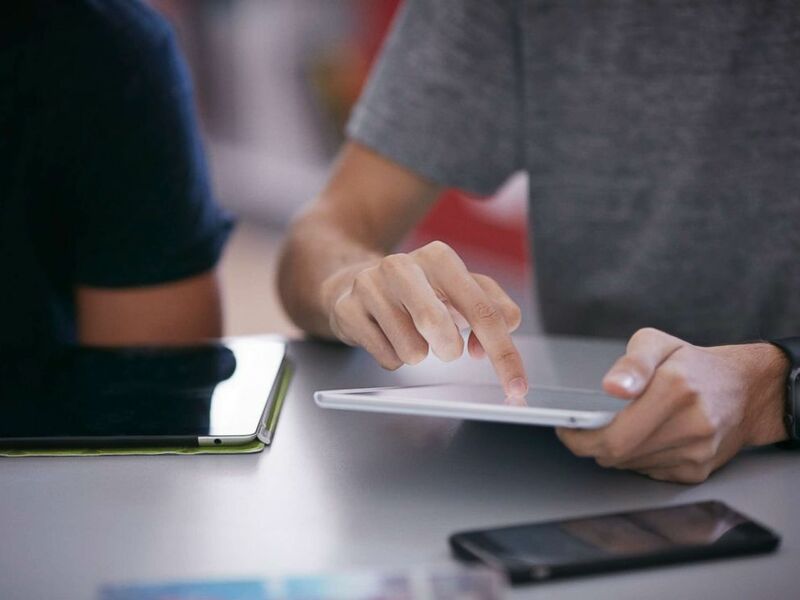 Technology is a force that will not be denied – one that continues to become more influential and prevalent in our lives and the lives of our children. We already know that too much time in front of a screen can lead to long-term mental, social and emotional issues, but do we understand to what extent? Just how much damage is all the social media, texting, streaming and gaming doing to our youth? While some research has been done, several members of congress are not willing to wait around for more conclusive results. Sen. Michael Bennet introduced a bold proposal that would allot $95 million to the National Institutes of Health with the express purpose of learning more about technology’s effect on infants, children and adolescents. LIKE A LOT of people, you probably spend a fair bit of time worrying about how much time you spend on your phone. Who doesn't these days? But what really concerns you is the youth. 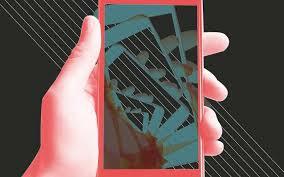 What is all that swiping and snapping and gramming doing to their still-developing brains? Surely somebody's studied this—the effect of all this screen time. So what have they found? Well, to be honest: nothing conclusive. At least not yet. 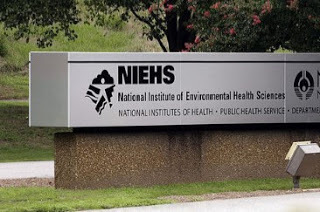 On Thursday, Colorado senator Michael Bennet introduced legislation that would give the National Institutes of Health $95 million1 to investigate technology's impact on infants, children, and adolescents. 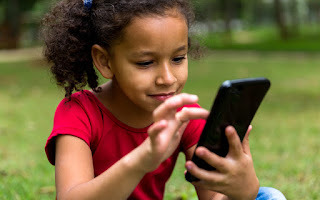 Called the Children and Media Research Advancement Act, or CAMRA for short, the bill would see that money distributed over the next five years, to researchers studying how things like mobile devices, social media, and virtual reality affect the way kids think, grow, and socialize. 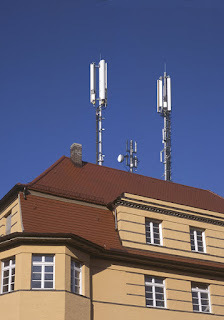 "Because 5G delivery will require extensive use of cell towers and small cells, critics says, it will be nearly impossible to escape wireless radiation. The number of reported cases of electromagnetic-sensitivity and connected device usage, already necessitating more treatment and care facilities, is expected to increase as a result." (Photo): 5G capable smartphones, when they arrive, will be packed with features – including as many as sixteen antennas to help transmit lots of data on both legacy and new wireless networks. Provided image. 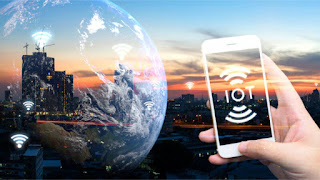 Tech industry plans for the roll-out of 5G wireless transmission technologies are bringing new business opportunities, marketplace concerns and even calls for a complete moratorium on delivery due to concerns for human health. The 5G (the fifth generation of wireless technologies) platform is said to be faster and more capable than current systems. It will support new business services and enhanced consumer experiences like IoT-connected gadgets, driverless cars, immersive 4K video, augmented and virtual reality, and more. But that increased capability comes with increased risk of electromagnetic radiation exposure, impact and possible illness. This recent presentation by Dr. Devra Davis, President of the Environmental Health Trust, is outstanding. Everyone should view it and listen to what she has to say about cell phone radiation. Please share widely. Devra Davis presents a range of recent and long-suppressed research in this timely bombshell. Cell phone radiation, wifi, and EMFs are a national emergency. Stunningly, the most popular gadget of our age has now been shown to damage DNA, and break down the brain's defenses while increasing memory loss, the risk of Alzheimer's disease, and even cancer. The growing brains of children make them especially vulnerable. And half of the world's four billion cell phone users are under twenty. 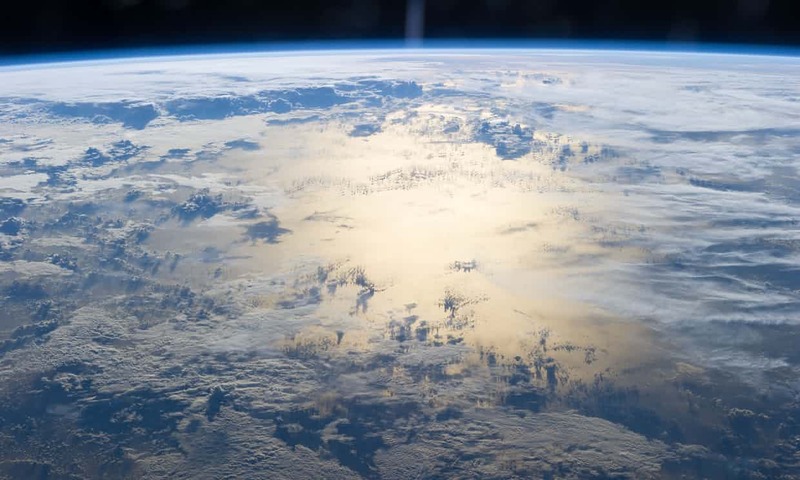 Proposals to combat climate change by reflecting the sun’s rays back into space would cause widespread crop failure, cancelling out any benefits to farming from the reduction in warming, according to new research. 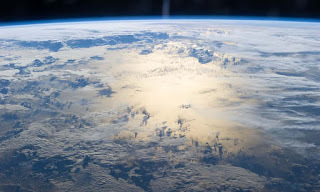 By examining the effects of volcanic eruptions on agriculture – which has a similar effect to proposed artificial methods of scattering solar radiation through aerosols – scientists have concluded that such methods could have unintended consequences. 5G is NG (No Good)! Our nation has a new and very serious issue that will compromise our precious health. It is spreading quickly and quietly because few people are aware and no one is speaking up about it. Unfortunately, it has already begun on Long Island. In 2016, the Town of Huntington and the Town of Oyster Bay approved deals with Crown Castle (on behalf of Verizon Wireless) to add distributed antenna systems to their towns. So far, there are 160 of these antennas in the Town of Huntington, with hundreds more coming. This same thing is happening in the Town of Oyster Bay. They are being placed on new and existing utility poles within brown cylinders, and they can be found directly outside resident homes on right-of-ways. Statistical summary of papers included in the annotated bibliography. social skills, according to Baroness Susan Greenfield. Baroness Susan Greenfield, a senior research fellow at Oxford University and former director of the Royal Institution of Great Britain, said she was concerned children were losing their ability to think for themselves, empathise and communicate with each other. “What I predict is that people are going to be like three-year-olds: emotional, risk-taking, poor social skills, weak self-identity and short attention spans,” said Baroness Greenfield, who was one of the first academics to warn four years ago that social media and video gaming were re-wiring children’s brains. RE-POSTED 8 August 2018: This video is even more pertinent today, given the developments of the industrial and health scandal of Phonegate. This post comes with the full transcript of the video. The secret inside your cellphone (CBC Marketplace) - CBC News - 24 March 2017 - 22 mn. Excellent documentary from Canada. All three popular phones exceeded the safety limit when tested next to the body. Featuring Berkeley's Right-To-Know ordinance, Devra Davis and former Microsoft Canada CEO Frank Clegg. As new science fuels the debate about cellphone safety, we take a closer look at a little known message inside your cellphone's settings and manual telling you to keep the device 5 to 15 mm away from your body. We ask why this message exists, why it's so hidden, and whether Health Canada is doing enough to protect us. 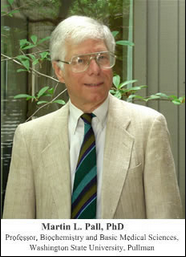 Message from Dr. Moscowitz: I have been circulating abstracts of newly-published scientific papers on wireless radiation and electromagnetic fields (EMF) about once a month since August, 2016. Several hundred EMF scientists around the world receive these updates. Since I have received numerous requests to post the abstracts on my EMR Safety website, I compiled the collection into a document which now contains more than 400 abstracts (including the papers below). 5G - "A Health Hazard Waiting to Explode"
Students in class using a tablet. American Cancer Society Chief Officer Calls Cell Phone Radiation Study a “Game Changer.” So When Will ACS Update Warnings About Harm From Phones, Smart Meters, etc.? This article contains lots of good references and videos on the subject. It’s worth noting that The Telecom Industry has never said that cell phones are safe. 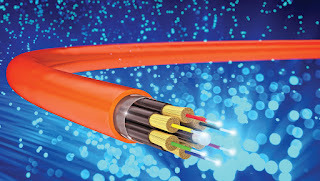 The Federal Communications Commission (which is not a health organization) simply provides safety guidelines which are outdated, misleading, and don’t protect the public. Dr. Otis Brawley, the chief medical and scientific officer for the American Cancer Society, said that the new evidence should not alarm wireless phone users. Well –everybody makes mistakes. Otis still has his job. Unfortunately, regardless of Otis’s recent statement, the ACS doesn’t seem to be publicizing this “game changer” – at least on its website. 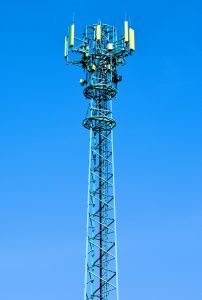 UPDATE (6 July 2017): View this ABC News clip "LA Firefighters Halt Cell Towers on Fire Stations Due to Radiation Concerns"
Below is the next in a series of Guest Blogs on BRHP. 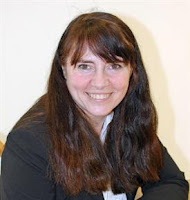 The opinions expressed in this Guest Blog are of Susan Foster herself. Publication of these opinions in BRHP does not imply that BRHP automatically agrees with or endorses these opinions. Publication of this, and other guest blogs, facilitates an open debate and free exchange of opinions on wireless technology and health. Susan Foster is a medical writer who has worked with firefighters on health, safety and policy with respect to cell towers on their stations since 2000. She organized a brain study of California firefighters in 2004 and was the original author of Resolution 15 passed by the IAFF in 2004. 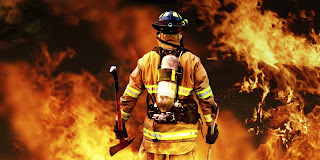 She is an Honorary Firefighters with the San Diego Fire Department. Trends often start in California, spread across the U.S. and frequently around the world. And so it is with wireless technology and the policy advancing the now unchecked expansion of wireless infrastructure throughout our communities. The next few days may signal a policy shift tipping point from which there is no return, and firefighters – forever on the front lines when it comes to health and safety – have a message for all of us through their proactive stance.